Female Common throughout England and Wales northwards to south Yorkshire. Adults can be found throughout the year; overwinter in rotten wood or among logs in woodpiles, during the spring and summer they are often seen diurnally on treetrunks or wandering on the ground. They fly readily at night but, in our experience, do not come to light. 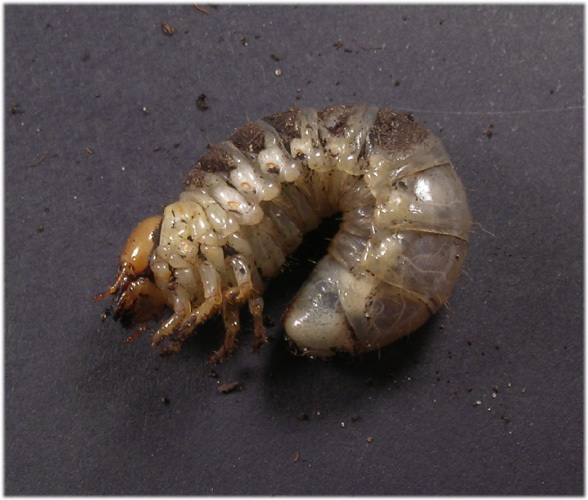 Large colonies containing both larvae and adults are occasionally found in standing or fallen timber of a wide range of deciduous trees. We have found these in both wet and dry rotting wood. Sometimes found breeding alongside Sinodendron or Lucanus. 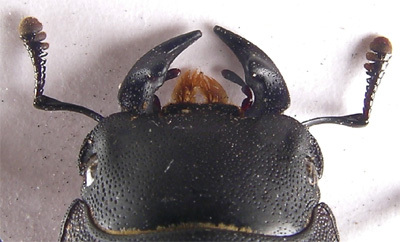 The Histerids, Aeletes and Plegaderus are often associated with Dorcus infested wood. 20-32mm. Black, impunctate. Longitudinal grooves on the upper surface of the protibia will distinguish this from other British Lucanidae. 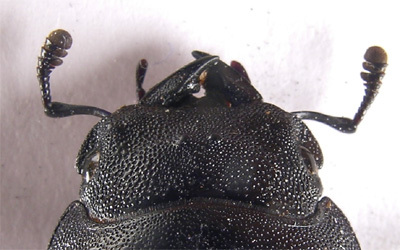 Head and pronotum less shining than elytra in male, female head with two tubercles. 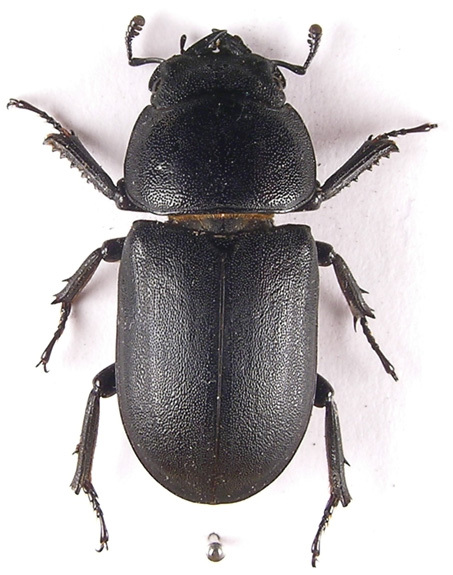 Plegaderus dissectus Erichson, our only member of the genus, is a rare histerid of England north to Nottinghamshire, occuring in wet decaying broadleaved timber. A small, 1-1.5mm., black or dark brown species, unique among our histerid fauna in having a deep transverse impression across the centre of the pronotum. 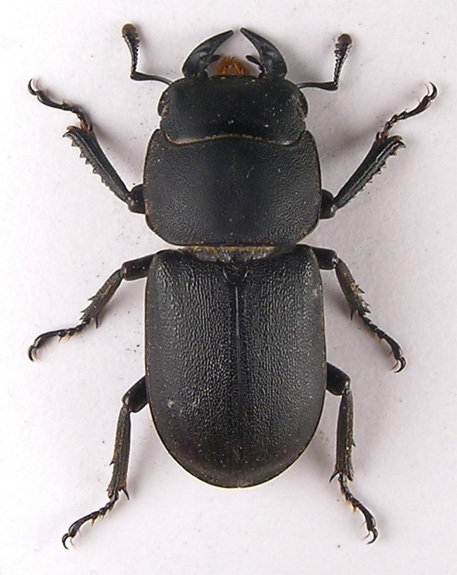 Aeletes atomarius (Aube), our only member of the genus, is a tiny dark brown histerid associated with Dorcus burrows and, on the continent, with the ant, Lasius brunneus (Lat.). Distinguished by its small size, 0.8-1mm., indistinct shallow puncturation to upper surface and lack of visible scutellum. Hereford and Worcester. Both beetles are keyed in Halstead.